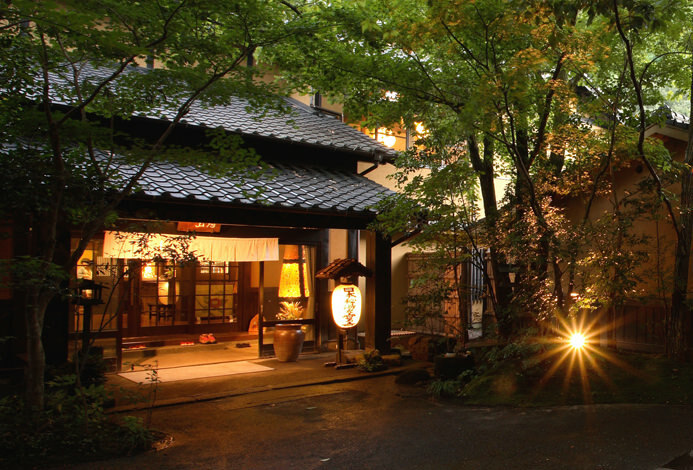 An inn at a quiet location, upstream from the river that feeds the rice fields along the Kurokawa Hot Springs. The babbling of the river and the surrounding mountains adds color to the seasons and the inn. On an area of over 6,000 square meters, there are 9 different types of baths that range from open air baths to family baths. You can enjoy trying these hot springs one after another. 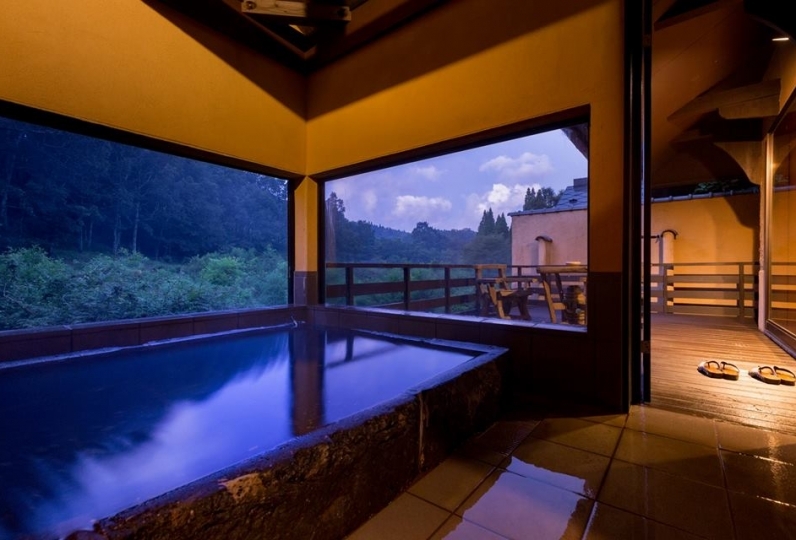 The charm of Okunoyu is that it is the only location in Kurokawa with a steam room, a stone sauna, a pool heated by the hot springs, and a full spa. Take your time and ease the daily exhaustion of your mind and body. We prepare seasonal meals made from plenty of fresh local vegetables and other ingredients. Experience the taste of Kumamoto in specialties such as raw horsemeat, Higo beef, and grilled fish with the seasonal dishes. Scenery that changes in response to the transitioning seasons, natural water born of the grand nature of Aso and complete facilities worthy of a resort. 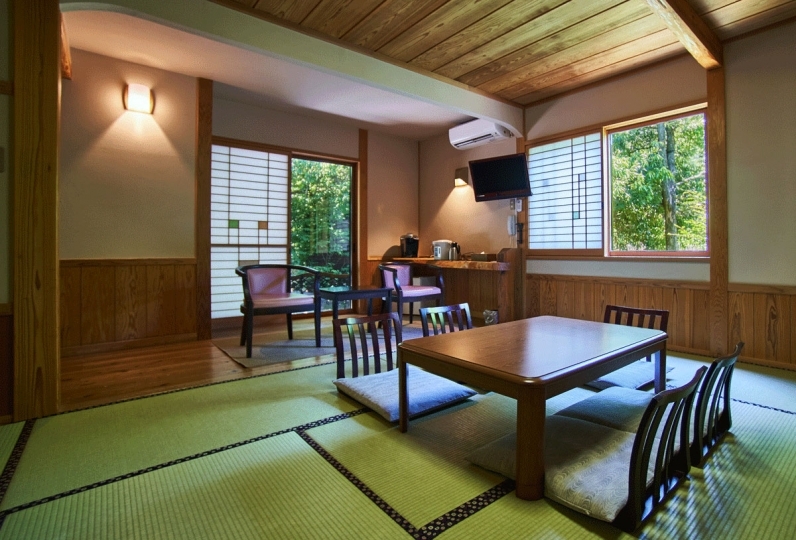 Visit Kurokawa with your family and loved ones and spend a relaxing time where no time is wasted. This is my family’s first ryokan and onsen experience and it will not be as memorable without Relux and Okunoyu! We wer... Read more This is my family’s first ryokan and onsen experience and it will not be as memorable without Relux and Okunoyu! We were greeted at the moment our car arrives at the parking. Staff speaks English and check in was smooth. Thanks for helping our group with elderly &amp; toddler as well as with luggage and show us the two rooms. The meals were exceptional and we enjoyed our first onsen experience very much. We Are glad to have private bath easily available which made it easy for us with toddler. We wish to come back next time and stay longer. This is my family’s first ryokan and onsen experience and it will not be as memorable without Relux and Okunoyu! We were greeted at the moment our car arrives at the parking. Staff speaks English and check in was smooth. Thanks for helping our group with elderly & toddler as well as with luggage and show us the two rooms. The meals were exceptional and we enjoyed our first onsen experience very much. We Are glad to have private bath easily available which made it easy for us with toddler. We wish to come back next time and stay longer. Excellence and remarkable service, nice resort. I will recommend this resort to my friends and I hope I can come back ag... Read more Excellence and remarkable service, nice resort. I will recommend this resort to my friends and I hope I can come back again in the near future. Excellence and remarkable service, nice resort. I will recommend this resort to my friends and I hope I can come back again in the near future. 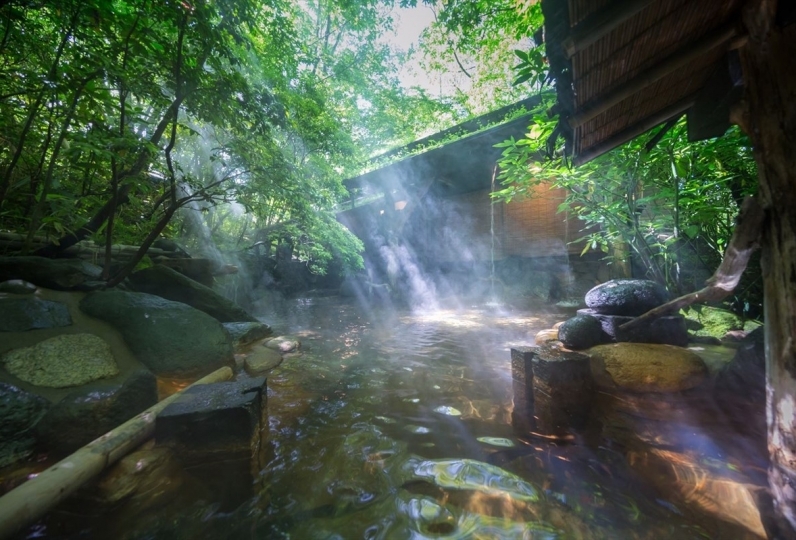 Enjoy bathing in the main public bath (open 24/7), the mixed-gender open air bath along the river, the cave bath with its mysterious atmosphere, the hand-made river bath with a view of the Tanohara River below, and the women-only open air bath. We also offer 3 different family baths. All hot spring baths contain natural diluted hot spring waters, with a purity and soft touch to the skin, effective in treating chills and fatigue. Main public baths (in the main building, men and women): The largest indoor bath. Cypress bath (separate building, men and women): An indoor bath built in the style of an old fashioned house. There are 3 mixed-gender open air baths and 1 women-only open air bath for a total of 4. Mixed-gender baths are open to women only at 8:00pm-10:00pm. Open air bath (mixed gender): an atmospheric bath with a visible thatch roof. Cave bath (mixed gender): the dim lighting creates a mysterious atmosphere. River bath (mixed gender): Right before a hearty waterfall. Handmade by the staff. Women-only open air bath: a bath where women can relax 24hrs a day. Take bath (main building): open air family bath. Momiji bath (separate building): open air family bath. Ajisai bath (separate building): the okami's favorite indoor bath. Counter open: 3:00pm-11:00pm (last reservation accepted at 10:00pm). Open again the following morning from 7am. Properties: effective against nerve pain, muscle pain, joint pain, frozen shoulders, stiff joints, bruises, sprains, indigestion, hemorrhoids and chills, aids recovery from disease and fatigue, and increases health. 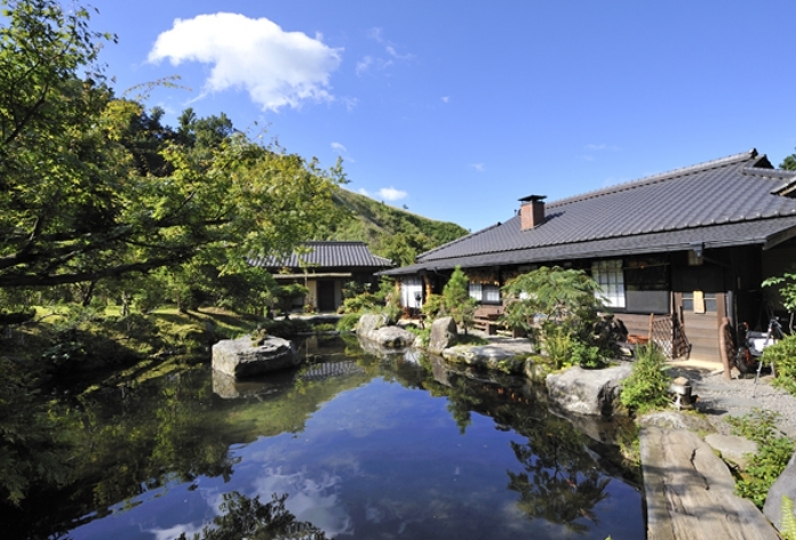 ・It is warmed to around 30 ℃ by hot spring heat and you can enjoy it all the year round. ※Please bring a swimsuit and wear one. ※We regret to inform you that the Massage facility has been as of March 2018. Bath tax (150 yen) is not included. 60 of people have viewed this page within the past 24 hours.